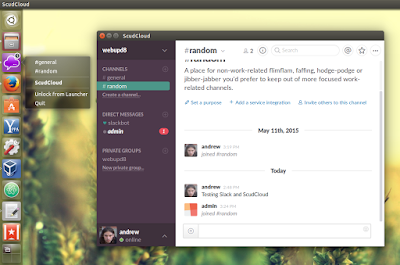 Slack is a team communication platform which features persistent chat rooms organized by topic, private groups and direct messaging, all searchable from one search box. Furthermore, the app integrates with Google Docs and Dropbox, GitHub and many others. 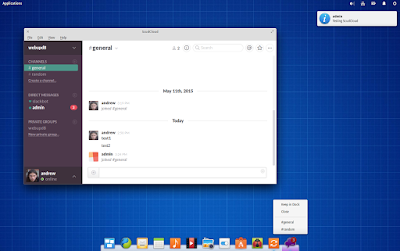 Slack provides apps for Windows, Mac, iOS and Android but unfortunately there's no official Linux client. There is a web version which can be used on any OS, but it lacks the features available in the official desktop clients like native notifications and so on. For Ubuntu 12.04, an extra PPA which provides a newer libqtwebkit4 is required. 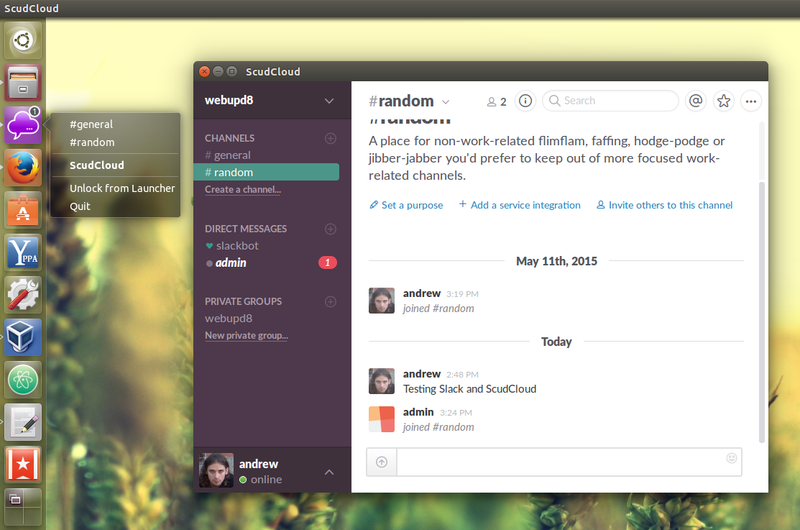 Arch Linux users can install ScudCloud via AUR. To download the source, report bugs, etc., see ScudCloud's GitHub page.